Best Cuba Guide › Forums › General › Can you explain the public bus from Havana airport in greater detail? I see your offers for private taxis on this website, but I would like to know if the bus picks up at the airport, and if so, roughly what is the frequency of that bus? I need to go from the airport to Havana to drop off a few items for volunteers at an animal rescue place, and at some point I need to make my way to Santa Marta, which I understand is close to Veradero (spelling?) which is apparently a high tourist area. Can I get off in Santa Marta if I take the bus to Veradero? I am confused because some websites say even if you book a ticket in advance for the bus there might not be room. I will be traveling with 2 suitcases, which is something new for me. Normally I like traveling very light and not looking like an easy-mark tourist, but this time I have to bring the big suitcases. Hi, unfortunately the bus (Viazul) does not pass by the Havana Airport. I think the government does this on purpose so that it causes tourist to spend more money on taxis. There are city buses which pass near the airport, but in order to take one you would have to haul your bags from the airport terminal and walk along the airport road for a good distance, before getting to a public road. I don’t think this is a good option. The best option, and what everybody does, is to simply take a taxi from the airport to Havana. The driver could bring you directly to the animal rescue place. The cost would be 25cuc. Drivers at the airport might try to ask more money, but you can negotiate. Or I can book you a taxi for 25cuc online. Either way, it would work out to the same price. At the airport you might be able to find another traveler to split the taxi cost with. This would reduce your expense. 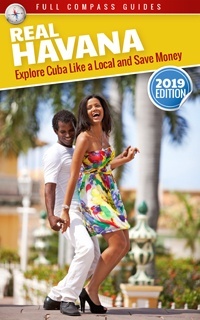 Are you staying in Havana at all, or do you want to go directly to Varadero? The Havana bus terminal is located at the corner of 26th street and Zoologico street. It’s easy to find. You can reserve a bus ticket in advance at the website http://www.viazul.com/. The cost to go from Havana to Varadero is only 10 CUC. This route is very popular, so you should reserve online or in person at the terminal, a few days before you travel. It is true that for the Viazul, even if you book your ticket ahead of time, sometimes the bus is full. In Cuba, things rarely work out as planned. Sometimes the bus clerks will just resell the tickets and you might get screwed. I will say that it does not happen often, but it’s always a risk. If there should be any trouble like this, you can always find dozens of taxi drivers just outside the Viazul station. There will be many other tourists in this area too, all trying to negotiate cheap taxi rides. You can join another group and share a taxi ride to Varadero. If the total ride costs 100 cuc for a private taxi, but you are 4 people, it comes to only 25$ per person, which is not expensive. And there should be enough room for all your bags. I hope this helps. Just ask if you have more questions. 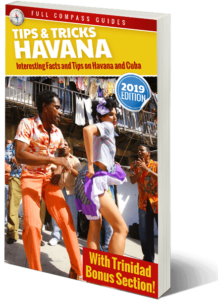 Reply To: Can you explain the public bus from Havana airport in greater detail?